International hacktivist group Anonymous has targeted a number of official Nigerian government websites as part of an operation to weed out corruption and tackle poverty in the country. Known for previous attacks on religious organizations, political figures and terrorists, the hacking collective issued a call for followers to “take out” Nigerian government websites. Posting on Twitter, the secretive group threatened to leak data unless “selfish politicians” address widespread corruption, rising unemployment and problems with healthcare. The statement referenced allegations of stolen oil money and missing public funds as reasons for the Operation Nigeria hack. On Friday, images showing websites belonging to the Nigerian state being tampered with, including the Federal Ministry of Justice, Customs and the Ministry of Foreign Affairs, were published online. It follows another hacking operation, which targeted 14 Thai police websites. In a video Anonymous accused Thai authorities of “scapegoating” two Burmese migrant workers sentenced to death for the murder of two British backpackers. 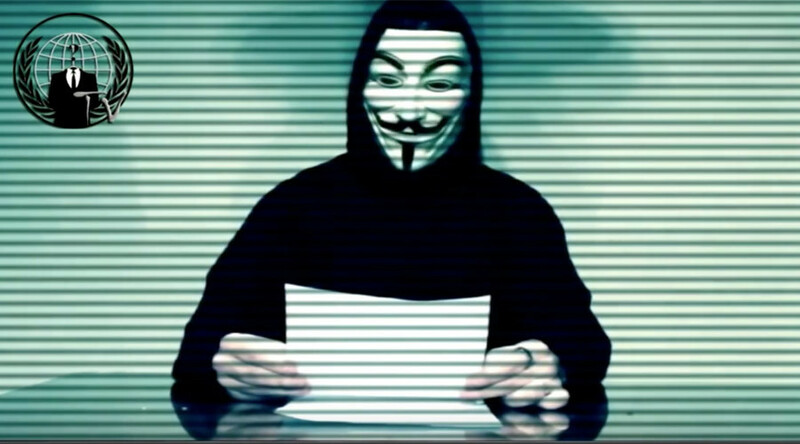 “Anonymous has found that Thai police lie, fabricate evidence, do poor police investigating, contaminate crime scenes, lose DNA and evidence, accuse non-Thai nationals … [and] refuse to believe that their own Thai locals are responsible for any wrongdoing,” a masked member of the group said in the video shared on Facebook.